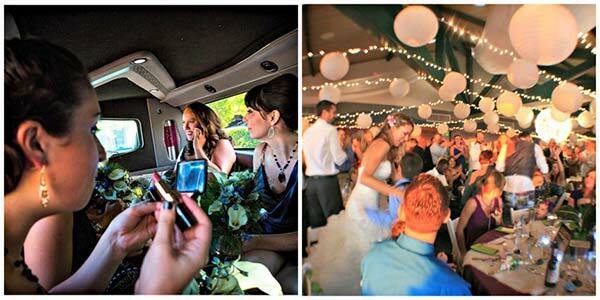 When it comes to wedding transportation, you want everything to be perfect. Arranging transportation for your wedding guests may seem like one more to-do on your already crowded list, but don’t underestimate this step. Guests arriving too late or not showing up at your wedding can ruin your big day. Destin’s 654LMO provides the safest, efficient, and cost-effective chauffeured wedding transportation on the Emerald Coast, including on-time airport transfers. We have the best solutions to ensure your guests arrive on time and safely to your wedding. You can choose the perfect transportation for your wedding guests from an upscale selection of stretch limousines, party buses, sedans, and SUVs. They will start the party the moment they will step into the vehicle. They can relax in the comfortable, plush cabin, enjoy a drink, and listen to some music to warm-up for the party. If your budget doesn’t allow to introduce a limo into your wedding plan, have a taxi waiting for you and your guests at the end of the evening. 654 LIMO offers a Full-Service 24-hour taxi and Courier Service ready to accommodate all your transportation needs on your big day. No matter what your needs are for your wedding day, we can make them happen. Let us take care of wedding transportation for your beloved guests, and the only things you will have to worry about is having the time of your life. No one will have to worry about navigating an unfamiliar city or choosing designated drivers. Make your reservation as soon as possible to get the car that you want! Use our online form for fast lookup rates by city or airport. Use our easy online quote system to request a quote for your personalized service.